This is a comfortable yet basic 1 room cottage with plenty of peace and tranquility on the doorstep. Cosy with gas and electric heating and three electric blankets. Ideal any time of year. Privately situated on 2 acres of paddock and backs onto the Mangawhero River. Close to mountain, rivers, hiking and biking. Stunning views of Mt Ruapehu and picturesque walks surround you here in this rural piece of paradise. Waimarino golf course is 2km away. It's not big or flash but for a rural getaway at a great price it's a great place to relax and de-stress. 1) Sheep graze on the grass around cottage. This means that you need to close the gate on entering and leaving the property. While sheep are generally harmless they can harm a toddler or youngster if the child is left unsupervised. 2) The river is very close and again may not be suitable for unsupervised children. Ideal get-a-way location for rest and relaxation. Brent and Sue were wonderful hosts. 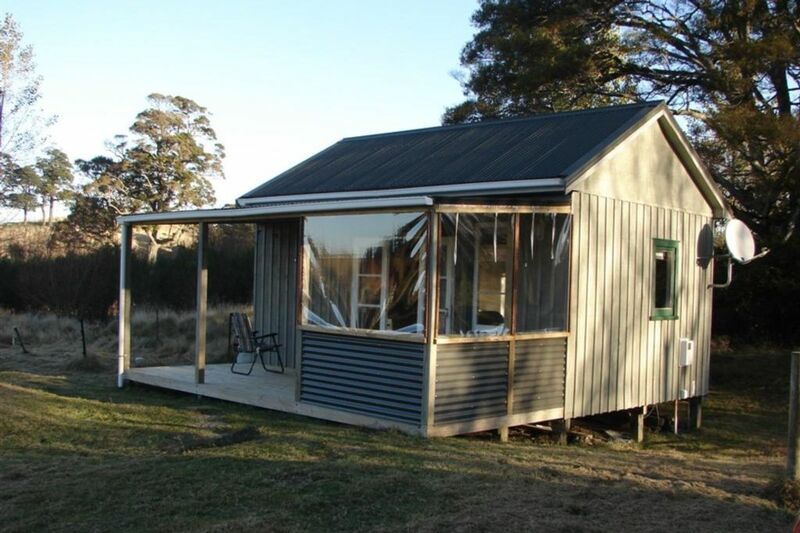 The batch is situated on a peaceful pasture with the Mangawhero river winding behind the property. The batch is equipped with all the essentials to make an enjoyable stay. We hope to return.